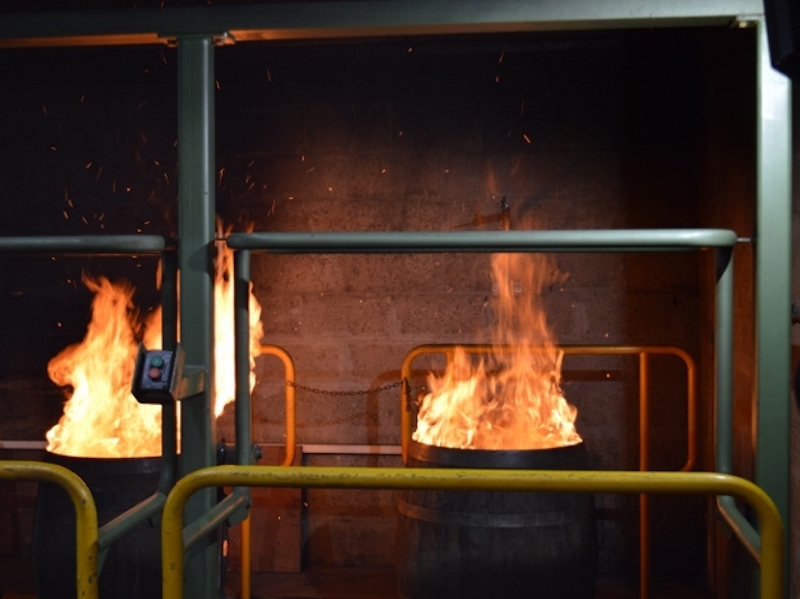 Charring casks increases the production of Trans methylotalactone and Cis methylloctalactone, which are colloquially known as the whisky lactones. They can have a fruity nutty aroma and in their pure form remind us of coconut. Melanoidins arise from the breakdown of cellulose, these help to brown the spirit. A lightly toasted cask can contribute to deep brown colours and subtle almond, walnut, butter and maple notes. Higher levels of charring, can bring forth rich caramel and toffee flavours. Casks can be partially rejuvenated by routing or wire brushing the inside of the cask. This exposes a fresher layer of wood which can then be re charred. Only some cask components are replenished after this, namely those derived from cellulose, hemicellulose and lignin degredation. Levels of tannins and oak lactones are not replenished. The influence on spirit from a rejuvenated cask is very different from the influence of first or second fill cask. Hydrolysable tannins which are important to the relative astringency or mouthfeel are missing. If oak were not seasoned before use, the natural tannins would be so high that flavour imparted would be very bitter. Tannins are a natural deterrent for insects and bacteria in oak, similar to caffeine in coffee plants. We temper oak to fit our purpose as home for spirit.